The Minnesota River is a vital, yet often overlooked river that meets up with the Mississippi in Fort Snelling State Park. 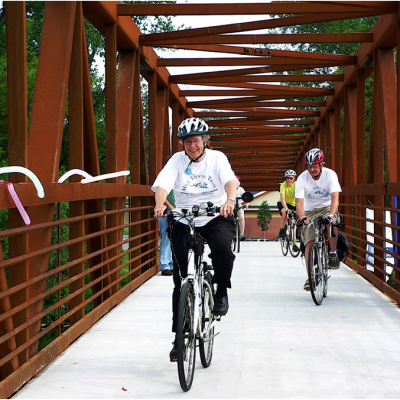 In 1969 a state trail was authorized to bring more people to experience this river as it passes into the metro area. 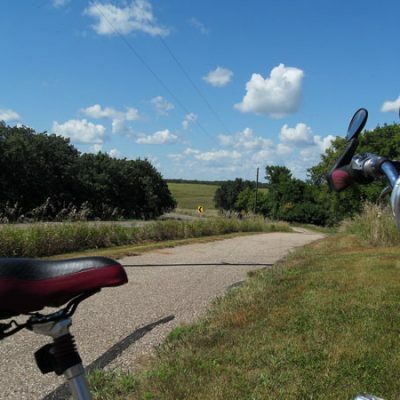 Today, plans for a key segment of the trail are underway that will ensure for two trails: one that preserves the existing natural surface trail for mountain biking, and a second with a hardened surface for multiple uses that meets the Americans with Disabilities Act requirements. 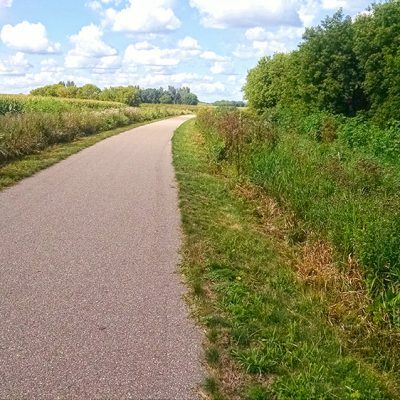 This key segment runs 13 miles from the Bloomington Ferry Bridge to the Minnesota Valley Wildlife Refuge (MVWR) Visitor Center. 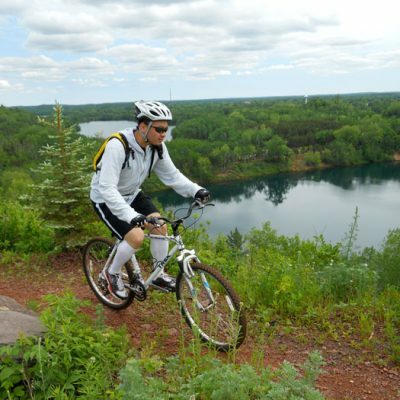 This area is fundamental to connecting more people to the outdoors, something essential for the protection of the Minnesota River. The river is slowly making a comeback from being one of the most polluted bodies of water in the state. And while this area has been transformed with past agricultural use, nearby power plants and gravel facilities, it offers access to a river with a natural character. Nearly all the land within the planned route is owned by MVWR, the city of Bloomington and Izaak Walton League. All have helped restore the natural resources along the planned route, and are playing a key role in bringing more people to enjoy what they’ve restored. Often a trail segment of this length requires working with many landowners who have differing opinions on the value of trails. These landowners highly value trails and are excited to see this two-track trail connect to the MVWR Visitor Center. The dual-surface trail will bring more people, including parents with children in strollers and persons with limited mobility, in contact with nature. 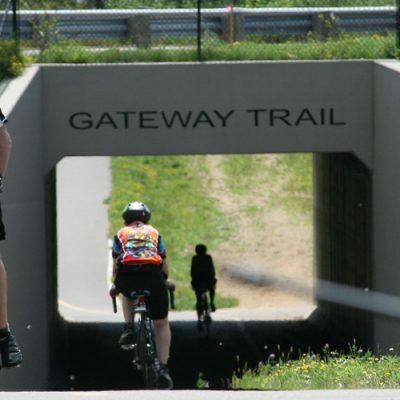 This will not only create more advocates for a valley in need, but will also bring the benefits of improved health that accompanies access to more trail uses. Once completed, this segment will connect trail users to numerous regional attractions and trail networks, including: Bloomington’s Old Cedar Avenue Bridge, Hyland Regional Trail and Park, Nine Mile Creek Regional Trail, Nokomis-Minnesota River Regional Trail, downtown Chaska, downtown Shakopee, Valley Fair, Minnesota River Valley Refuge Visitor Center, Mall of America, Metro Transit’s Blue Line (LRT), Fort Snelling State Park, Historic Fort Snelling, Minnehaha Falls Regional Park, and both downtown Minneapolis and St. Paul via existing regional trails. 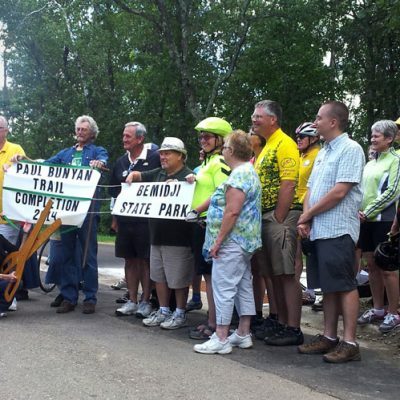 We have been advocating for this dual-surface trail, along with several other partners, for years. 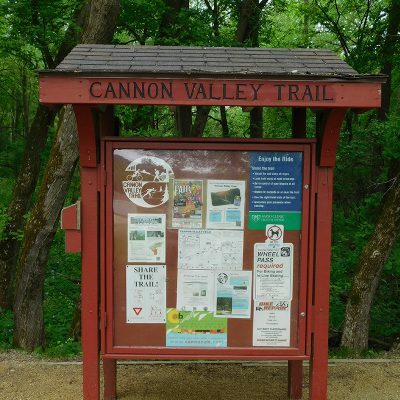 The planning got a kick start during the 2014 legislative session, along with several other trails, when funding was appropriated.